Check out my review of ME: Foundation issue #5. Mass Effect: Foundation #6 continues the story of Miranda and Jacob’s quest for Commander Shepard’s body. Again, I have to complain about the way Jacob looks. You can’t just make a character black and give him the same facial hair and call it a day. He’s also several shades lighter, which is kinda crazy to me. Although #5 still holds its spot as my least favorite issue, this one comes quite close. There isn’t even a hint of Rasa in this issue. And while I’m sure the story was meant to show that Jacob was a cool guy, it just kind of fell flat. The story had none of the hard choices or sad twists of the average Mass Effect mission, let alone one of the issues in the Foundation series. I highly recommend buying issues #1-4 of the Mass Effect: Foundation series. I’m on the fence about this two-parter. Jacob and Miranda’s mission takes a deadly turn as the duo find themselves in the gun sights of a vicious batarian warlord! 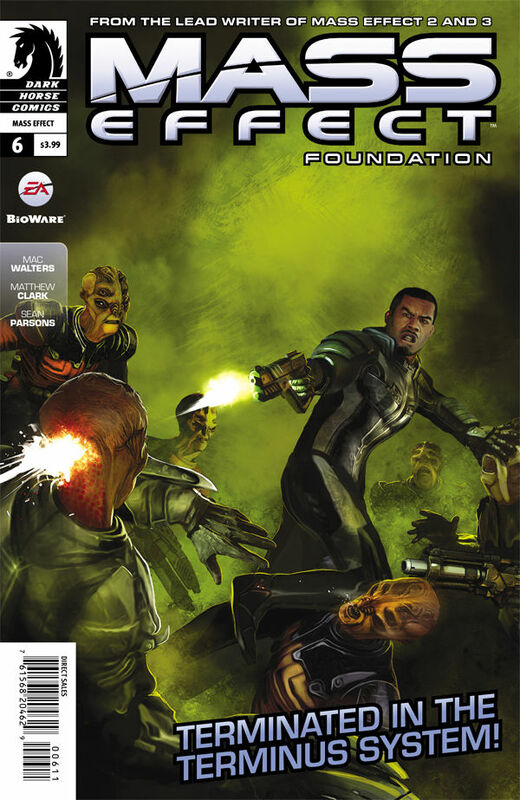 Click here to purchase Mass Effect: Foundation #6.